Who says IRAs can’t be fun? 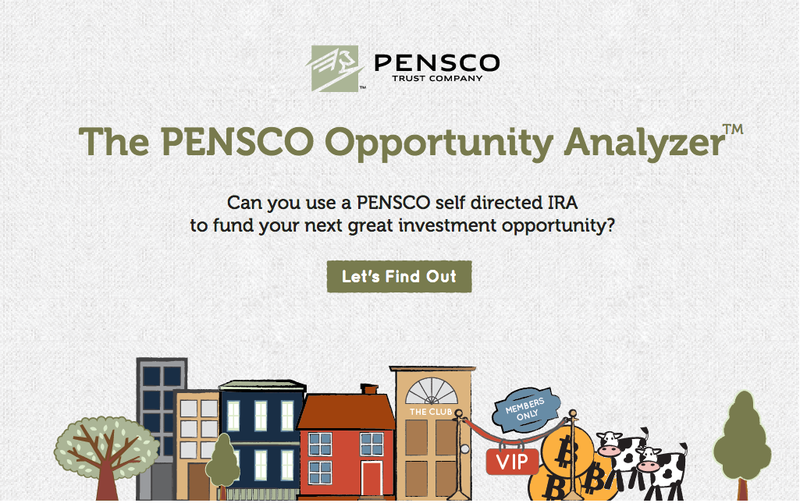 If you’re dreading the research involved in figuring out how to fund a business opportunity or real estate investment, try this interactive microsite designed by Visually for the PENSCO trust company. Click the image above to see how it works, or give it a whirl here on the PENSCO site.